I'm not a fan of wasted space in user interfaces, so any time I can consolidate down to only useful functionality I'm happy about it. The subject today is how to consolidate the Firefox toolbars down to just the items we actually use, to save space for the 45 tabs I like to have open. To show the menu toolbar again you can use the Alt key. You'll also notice that some new items will be added to your menu, which can be customized or just removed. Then click and drag the "Bookmarks Toolbar Items" to another toolbar… I chose to move them to the Navigation toolbar. Now you'll be able to hide the Bookmarks Toolbar. If you hide the Status bar via the View menu, you'll end up with an extremely streamlined browser. I often find the need to open my current tab into a separate window so that I can move it to my second monitor. Tab Mix Plus to the rescue! There's an option in the settings panel to easily duplicate the current tab in a new window. You can use it from a keyboard shortcut as well if you want. Notice the new option for "Duplicate in New Window" when I right-click a tab. You can also use the shortcut key of Ctrl+Shift+N whether you enable this menu option or not. To add the item to the right-click menu, go to the Tab Mix Plus Options screen, click on the Menu button at the top, and then Tab Context Menu. In here, you can click the "Duplicate in New Window" checkbox to enable the menu item. It is very simple to check … You can use the Dr.Web plugin, which will add an item to the right-click menu to allow you to scan any web page or download link using their online virus checker. Let's check it out… I decided to scan the Dr.Web Firefox plugin with Dr.Web, just to see what it would display. Keep in mind that no anti-virus software is absolutely perfect or will catch every virus, so don’t take this as a proper anti-virus software this isn't a substitute for it. You should be careful about from where you download files. This plugin will not work for webmail attachments. I tested this on yahoomail and as well as on Gmail and it didn't work, which isn't necessarily a bad thing, because it means your attachments are private. So isn’t it a great plug-in to have?????? 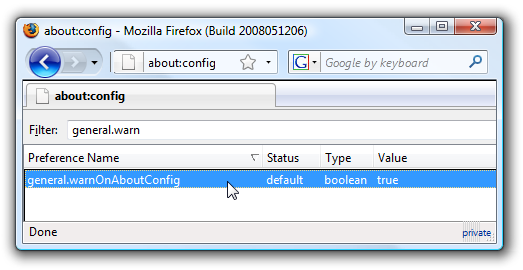 Why Doesn't AutoComplete Always Work in Firefox? If you've spent any time tweaking Firefox 3, you've probably seen the warning message telling you that you probably shouldn't be changing any settings. Thankfully you can remove the checkbox and make the message go away… but what if you wanted it back? I know what you are thinking… why would you possibly want it back? If you are customizing Firefox for somebody else and you turned the warning off… you might want to re-enable it after you are done to help prevent them from making changes. Just double-click on the item to change the value back to true, and the warning message will show up again. Get Computer Tech Support And Fix Computer Problem Online with Microsoft Certified techs 24x7.